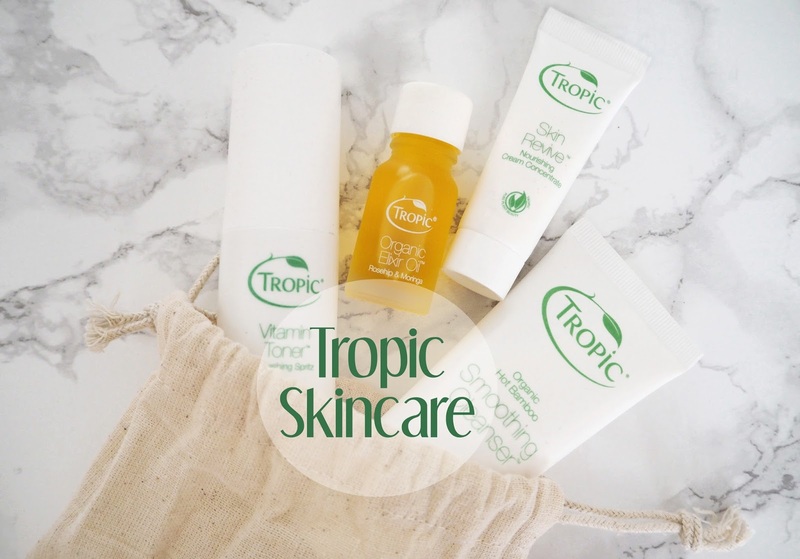 I was lucky enough to get to try out a new skincare range recently, called Tropic Skincare. My friend & neighbour works for the brand and she kindly brought me over a selection of products to trial for a week so I could see what I thought. 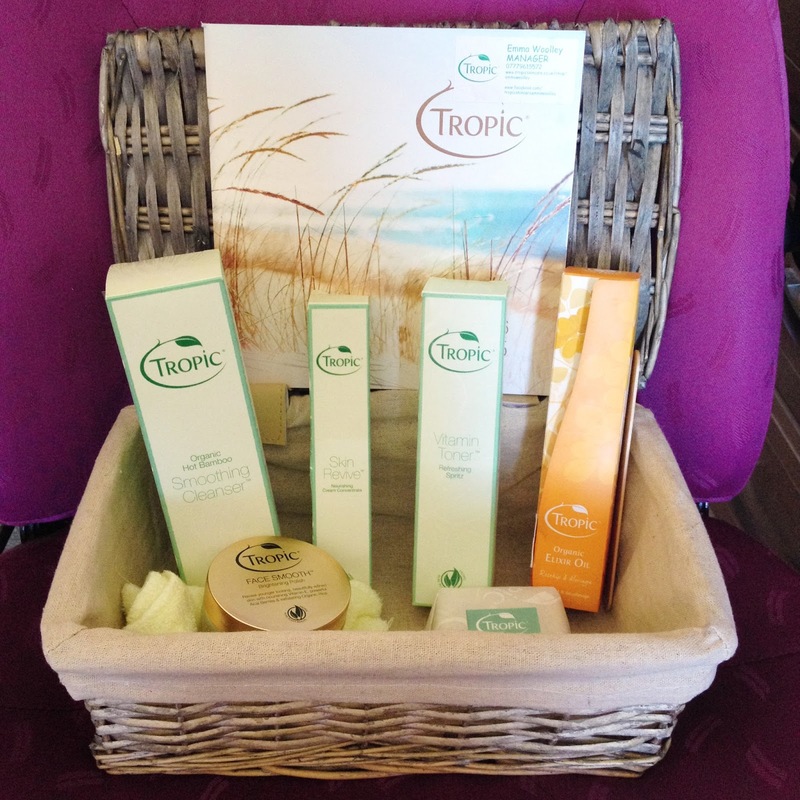 Tropic was founded by Apprentice star Susan Ma in 2010. The skincare & cosmetics contain only the freshest and purely plant derived ingredients and are packed to bursting with active plant proteins, vitamins & antioxidants. What's more is that everything is Natural, Vegan and Cruelty free! If you have any particular questions about the range or how the products could help your skin then head over to my friend, Emma's, Facebook Page where she will be happy to help! As you will see from the images, the products were given to me packaged inside a beautiful basket! The first thing I noticed was the light, fresh scent coming from the products inside. It wasn't overpowering though which I liked, just very natural fragrances. Clean, simple packaging (although they have since redesigned a lot of their packaging, see the website for pictures it's very pretty!) and looking at the prices of the products I think they're good value for the sizes you get. 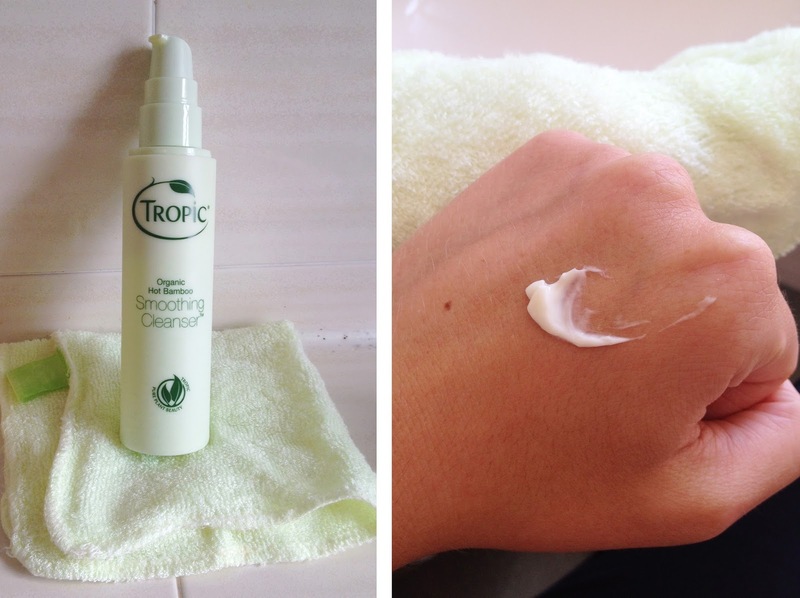 SMOOTHING CLEANSER Complexion Purifier & Bamboo Cloth: This is light and creamy cleanser that was very pleasant to use. On the website it says that it contains Avocado, Golden Jojoba Oil and Green Tea which melt away your makeup while pure Eucalyptus Essential Oil uplifts. If you're taking off very heavy eye makeup you may need to double cleanse. It comes with a very soft & snuggly cleansing cloth made from 100% organic bamboo shoots. 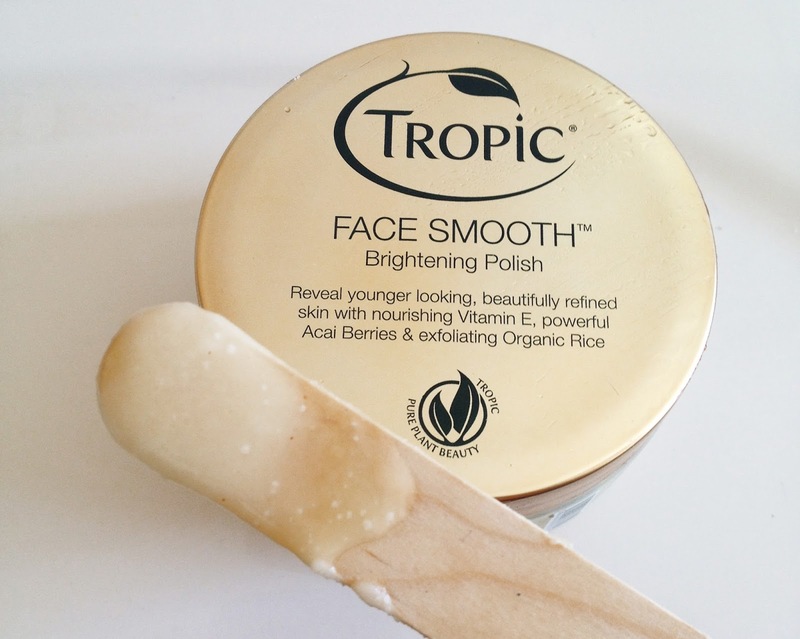 FACE SMOOTH Brightening Polish: I think this may have been my FAVOURITE product that I tried from the range! Which may seem funny as it's an exfoliant but the fragrance is just so delicious I wanted to use it al the time! It has Acai Berries (but I also thought I could smell some citrus) in it and organic rice to exfoliate your skin. I thought it worked well and had a lovely softening effect afterwards. Which is nice as some scrubs can make your skin feel like it's been rubbed raw afterwards which isn't good if you have or have had acne prone skin like mine! 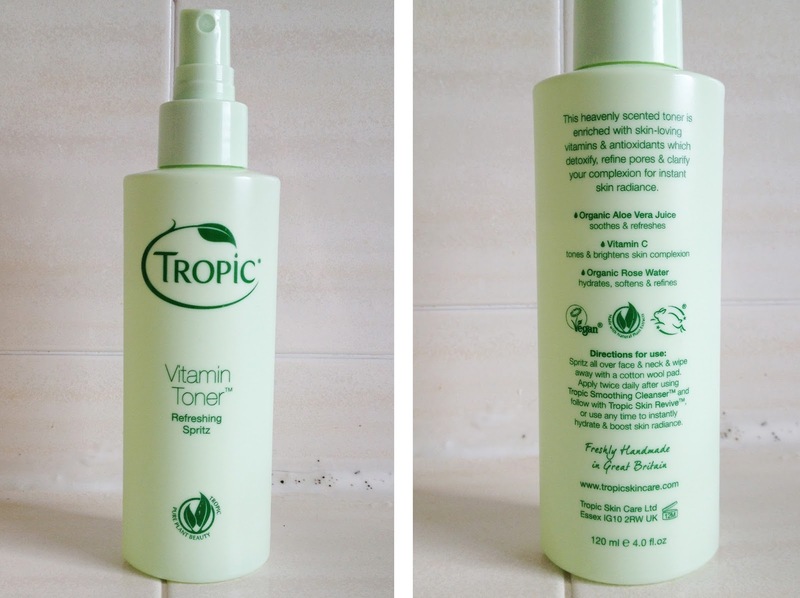 VITAMIN TONER Pore Refining Mist: As well as during the usual routine I really enjoyed spritzing this over my face to refresh my skin on a hot day (or perhaps in stuffy central heating now the winter months are coming) without disturbing my make up. One thing that I can't abide is alcohol on toners! The whole point of a toner is to remove excess cleanser and rebalance your skins PH Levels before moisturising but alcohol strips your skin of moisture and can encourage it to produce more oil. The amount of times I used alcohol based toners during my teens and then wondered why my skin was even more oily! 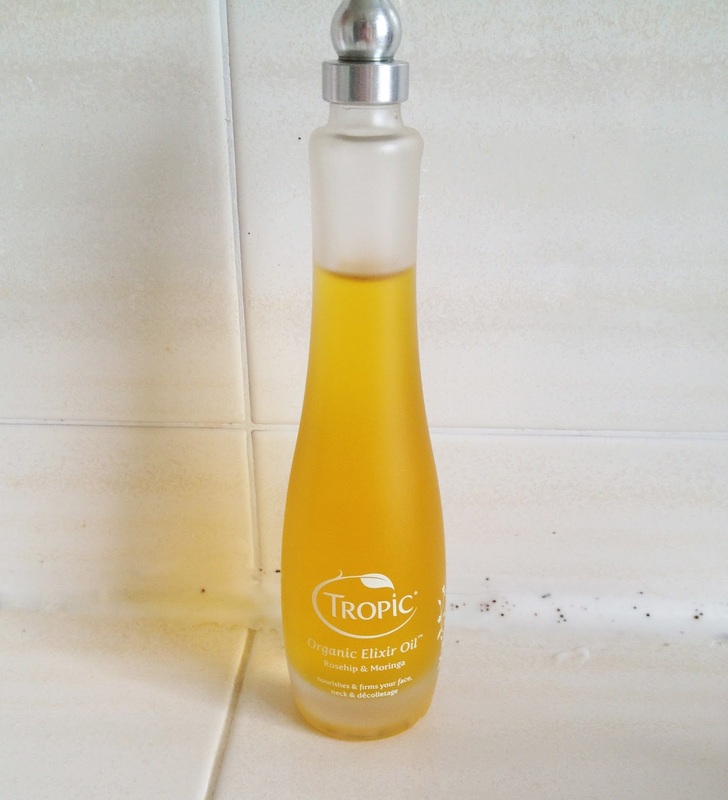 This toner has Aloe Vera Juice plus extracts of Cucumber, Cranberry and Vitamin C, leaving a very fresh scent. ORGANIC ELIXIR Age-defying Facial Oil: This face oil you use a few drops at night time after toning and before your moisturiser. It was a good texture, not greasy or sticky and smelled to me like almonds or amaretti biscuits - yum! SKIN REVIVE Nourishing Cream Concentrate: A nice light textured moisturiser which, in keeping with the range, had a fresh scent but also some yummy fruity raspberry notes. I believe they do a night cream in the range if you need a richer texture but this one was fine for my skin. 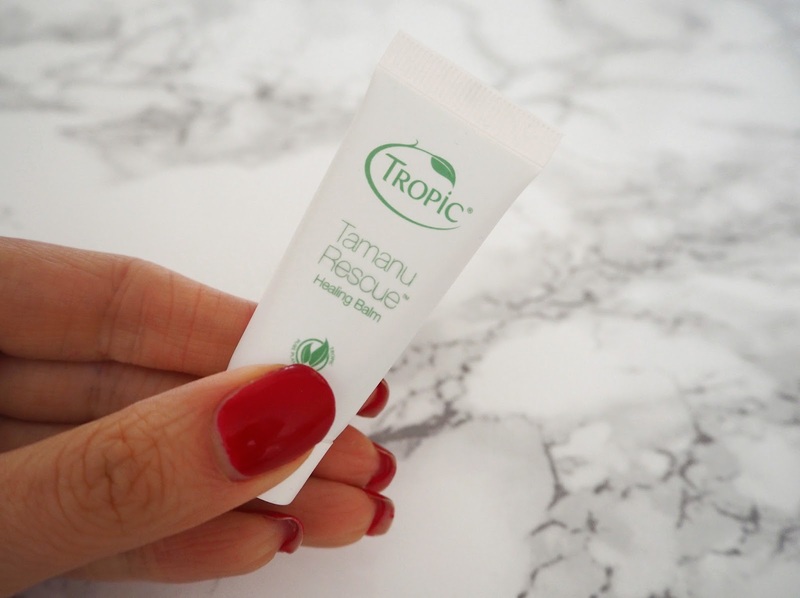 TAMANU HEALING BALM: I bought a travel sized collection from Tropic for my going away bag. It includes the 4 skincare products listed below plus this balm which is said to aid skin healing including cuts, insect bites, acne & sunburn. I had a spot on the back of my leg, well it was more than a spot really maybe an ingrowing hair I'm not sure but it was a inflamed beast of a thing! I used this balm on it for 3 days and I swear it really did bring the swelling down fast so this gets a big thumbs up from me! 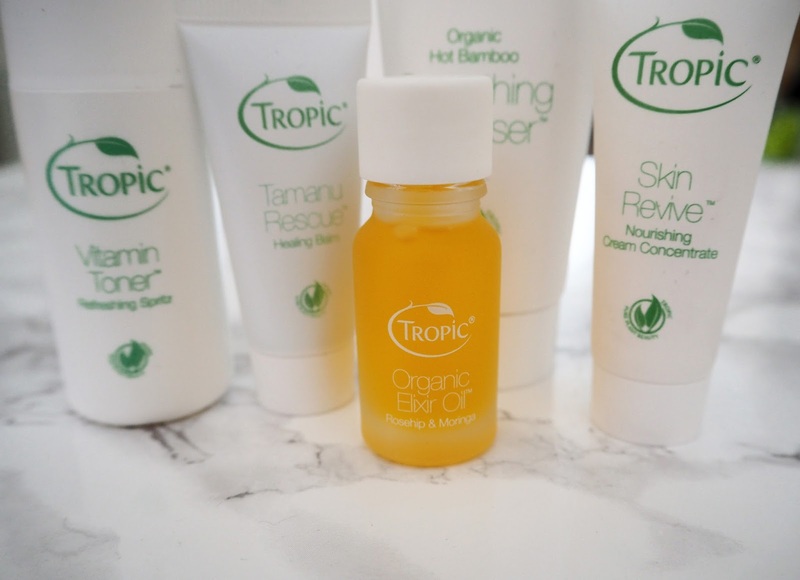 Overall: I really enjoyed trying this range and will definitely be buying the Toner & Exfolitator in full sizes and I'll restock on the Tamanu Balm when I'm finished too! Plus I have my eye on a few other items to try. 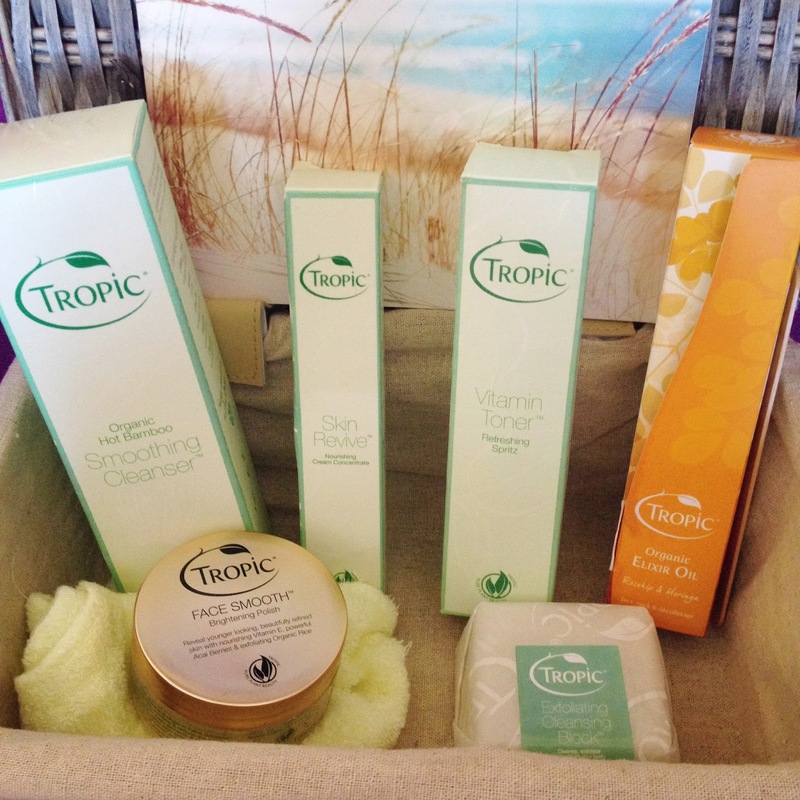 Have you tried any Tropic Skincare Products? They also have an amazing looking make up range which I'm lusting after! You can place an order for yourself right here and let me know what you think!